info@truevalueinnovators.be +32 496 59.08.74 | +32 493 70.91.44. 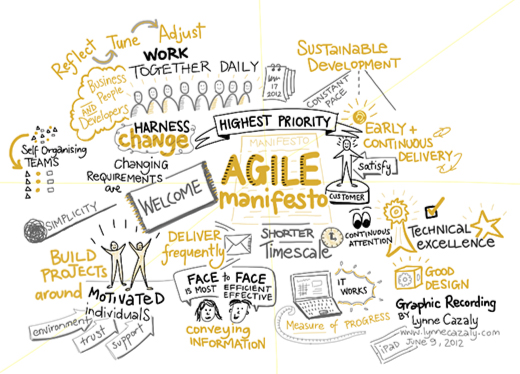 ‘Agile’, in a nutshell, is a powerful and proven mindset that helps enterprises, teams and individuals run their projects in a more effective manner. It helps achieve results quicker with lower effort, all while keeping the end customer on the first row if not in the driving seat. It has become the number one approach for software development and gets more and more attention outside the IT community as well. Agile has many aspects, so we do not pretend to have written the smartest or most scientifically correct definition of what Agile is. But take it from us, Agile works! And we can help you get into that Agile mindset. True Value Innovators has certified and seasoned Agile Coaches and Scrum Masters that can help you transform your organisation into an Agile powerhouse. Agile is no silver bullet. 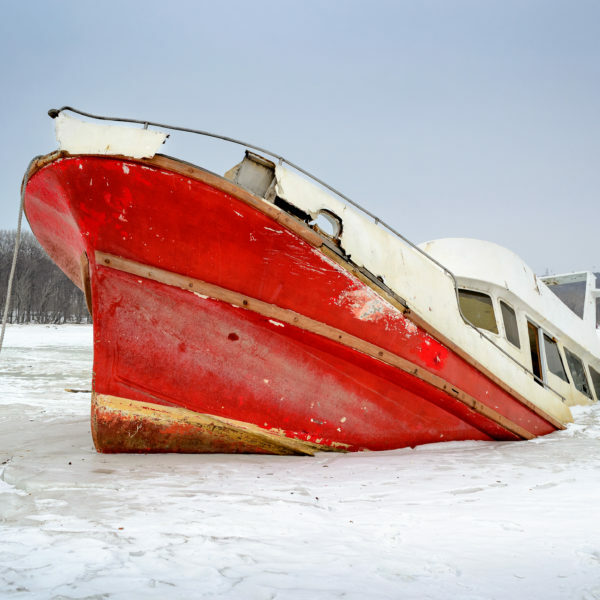 Despite the proven value of applying the Agile mindset and the usage of methods such as Scrum and Kanban, Agile often reaches its own limits. Despite the many good intentions and beliefs in the magic of Agile, implementing it often falls short of expectations, demotivating the people involved. This jeopardises further or continued investment in Agile transformation. Where Agile falls short, True Value Innovators apply what is called Integral Agile. We use cutting edge, scientifically proven techniques and insights. Integral Agile is a multi-faceted approach that focuses not only on People and Process, but adds to that Culture and a Systemic View. This is the foundation on top of which are added levels of development of all these facets. The Integral Agile approach significantly increases the probability of a successful and sustainable adoption of Agile on all levels, i.e. enterprise, team and individual. True Value Innovators are active members and contributors to the US-based Agile Wizardry group, providing access to the latest insights and techniques in Integral Agile coaching, as well as access to a worldwide network of certified Integral Agile coaches. The Integral Agile Transformation approach underlies all our work. 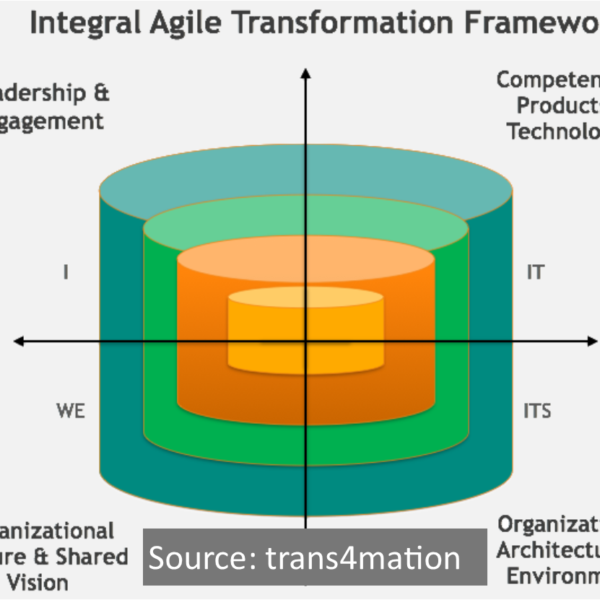 Based on the Integral Model, this approach is tailored for use in all organisational transformations using Agile, and is detailed in “Coaching the Agile Enterprise” by Michael Spayd, with whom we are teamed up via his consultancy company trans4mation. See below. True Value Innovators have experience and an extensive track record in taking on so-called brownfield Agile transformations: as opposed to ‘first time’ or greenfield Agile transformations, they deal with the remnants of previous – and unfortunately often failed – attempts at becoming truly Agile. Brown field Agile clients have typically adopted Agile in name only, and/or show signs of scrum-fall approaches (a hybrid of Scrum and Waterfall), and/or claim “agile-is-dead” victory, and/or suffer from change fatigue. We do get it, though: Nobody ever said that moving to Agile would be easy. And It’s not! It may be easy to understand, but applying it correctly throughout an organisation involves clearing a great many hurdles. True Value Innovators truly empathise with brownfield Agile organisations. Getting them back on track into well-performing Agile organisations is not really any different to a first time Agile transformation. In fact, people have already been exposed to Agile thinking, have tried to adapt, and have sometimes suffered the consequences of an ill-conceived or poorly implemented change. People are way too important not to take that into account. Reinitiating Agile transformation in such context requires a very thoughtful, empathic, integral approach, to avoid pushing people into burnout. Many agree that Agile originated in the work of Taiicho Ohno, in the mid 20th century, as he designed the Toyota Production System. While Agile was a typical software-thing for many years, it now also serves as the go-to approach for hardware prototype development (machinery, electronics, as wells as cars), and for small-batch and one-of-a kind manufacturing. eXtreme Manufacturing (XM), as it is now called, is getting very popular in the USA at companies including Boeing and John Deere. True Value Innovators are proud to be among the few certified XM experts in Western Europe. AGILE WITH A CAPITAL A? 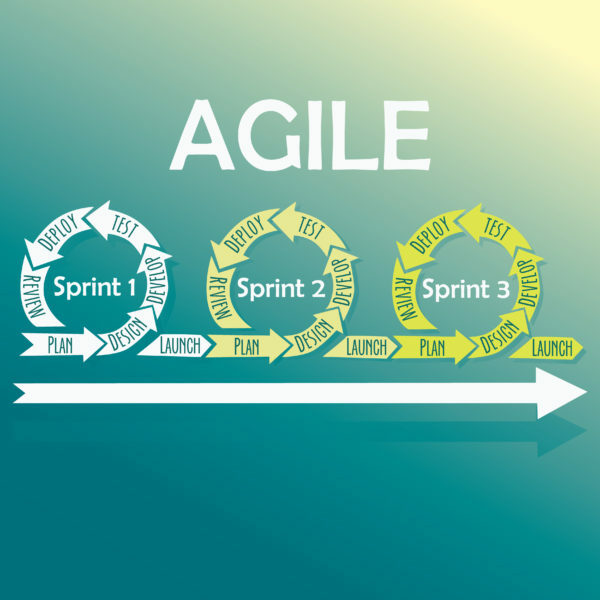 Agile, according to Dictionary.com, means “active” or “lively”; the Merriam-Webster dictionary defines it as “having a quick resourceful and adaptable character”. We at True Value Innovators love both dictionaries, but both fall somewhat short of what the Agile community generally has in mind when talking about Agile. No this still does still not fully fitcover with our intent, nor with the general understanding of the evolved Agile community. Agile is way more than that! It’s extremely powerful and canit’s not be taken for granted. And because of these two aspects, we think it deserves to be written with a capital A.
T4 Transformation Pod – Europe. The TVI-T4 Pod Europe is a cross-functional team of Agile Coaches who as a team offer comprehensive leadership, coaching and transformational skills and expertise. They use the Integral Agile Framework as a consistent and common approach to guiding Agile Transformations & Leadership Development at our clients’ organisations. We believe that this consistent and common Integral Agile approach is key to successful Agile transformation. Are you turning into an Agile brownfield? Or are you a novice to Integral Agile? Perhaps you do not believe in Integral Agility? Or you're thinking “I don't need this”? Get in touch with us! We can give it to you straight up, and set you straight. We just love having good conversations about Agile - no strings attached..And remember: we only take engagements where we really can make the difference! Give your insights on our ideas, concepts and questions asked! You really can make the difference!